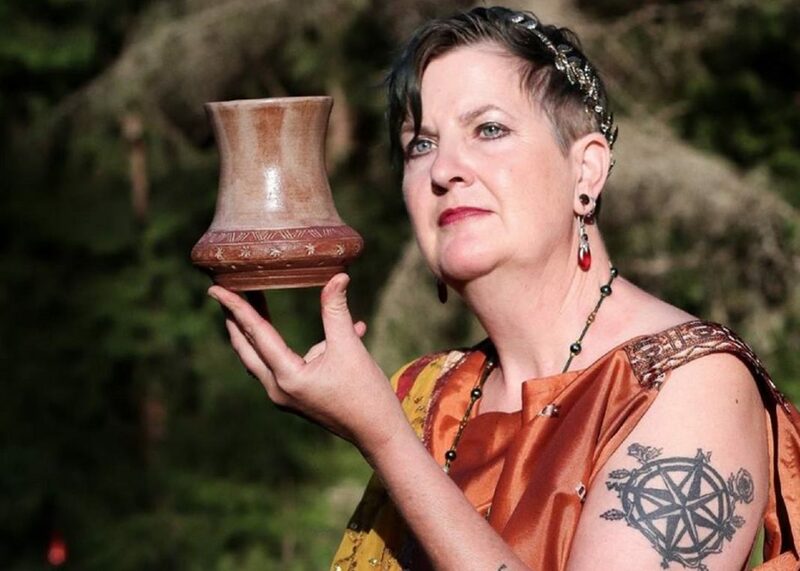 Talented pottery artist Sherry Kirk used to live a very different life than she has now as a potter and permaculturist at her secluded Rainier studio Sidhefire Arts. Sherry spent 21 and a half years in the Army in psychological operations. 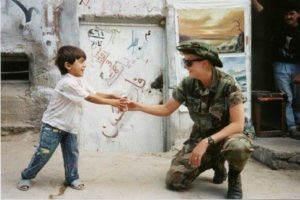 During that time, she was trained to speak in Russian and Thai and traveled all over the world assisting in missions ranging from demining operations to counter-narcotics. She worked in places such as Cambodia, Laos, Korea, and the Soviet Union. 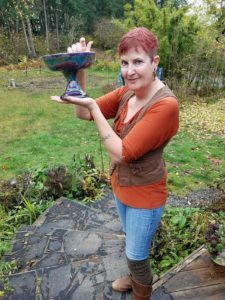 With her new skills, Sherry treated pottery as a hobby for a few years and then in 2015 she decided she would focus on building pottery as a business at Sidhefire Arts. That is when she started researching the market and looking at ways to expand her skill set and what type of pieces people would want. At the same time, she was involved in Medieval Reenactment Groups so she was looking at shapes and forms that would be durable enough for people to use camping at events and drinking next to fires. “If you drop it, it needs to survive that and still look good and be a shape that people will want to hold in their hands,” she says. As she slowly built Sidhefire Arts, Sherry passed a tipping point where her creative pottery started getting significant attention, particularly for her historical reproduction pieces. “At this point, I am addicted,” Sherry says. “Theoretically this is my retirement hobby, but I think I work an average of 12 hours a day. 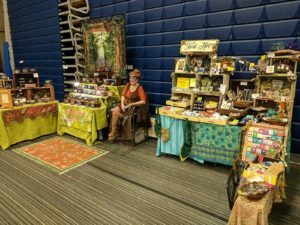 Right now, I am mostly trying to keep up with the enormous expansion that happened this year.” She has sold pieces all over the world to places like France and Spain from her Etsy store. She recently began producing tankards for the Skål Beer Hall. “I sell everything I make,” she says.